in Salvador at Ap Eduardo’s Apostolic Conference. Ps Joshue Novais led the worship and he is totally blind. The move of the Spirit was phenomenal. 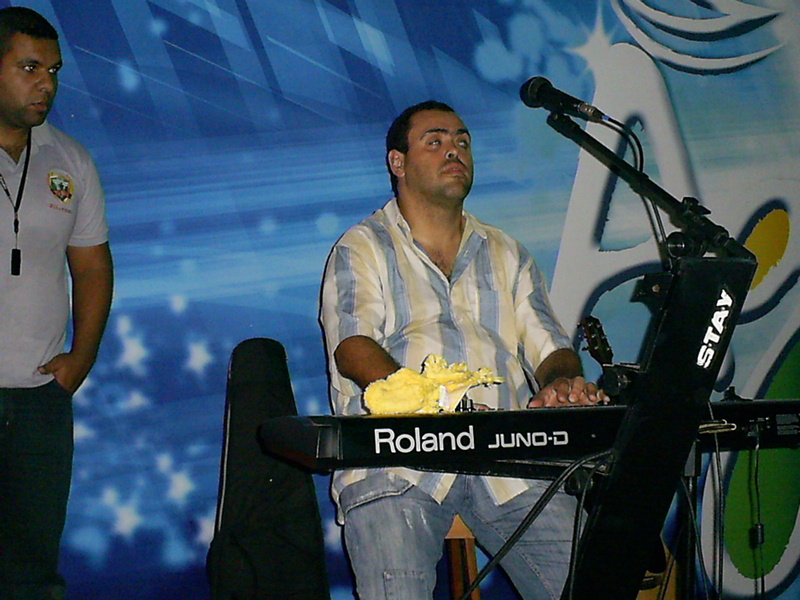 Ps Joshue is a well known recording artist in Bahia, having released three CDs. He sang songs written and produced by himself. He is a real jewel in the Body of Christ.